Posted March 18, 2019 by Amy Kawa & filed under Uncategorized. 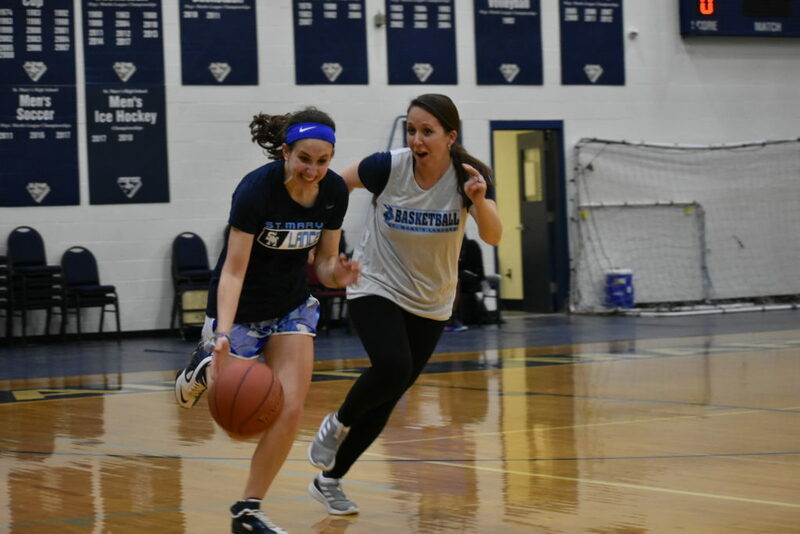 Junior Kayla Sterner put together a faculty-staff basketball game in order to raise money for her Roswell Street Team. 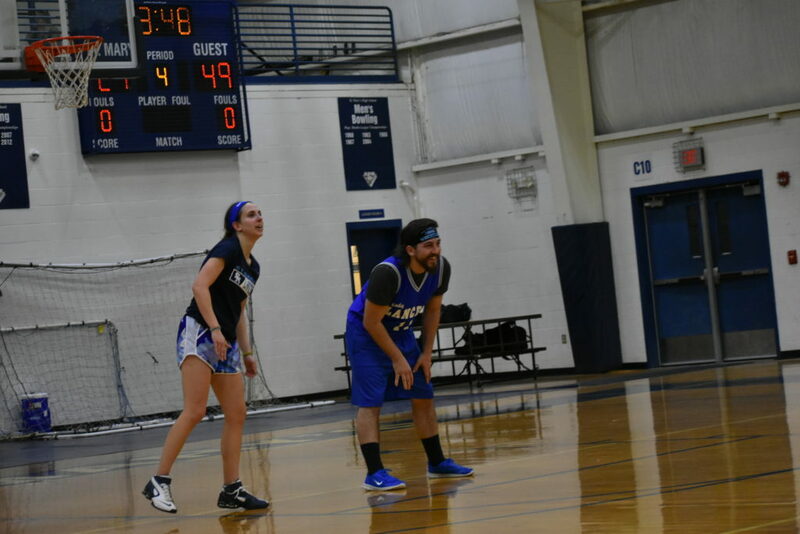 The game included some of everyone’s favorite St. Mary’s personalities and pitted them against each other on the court. 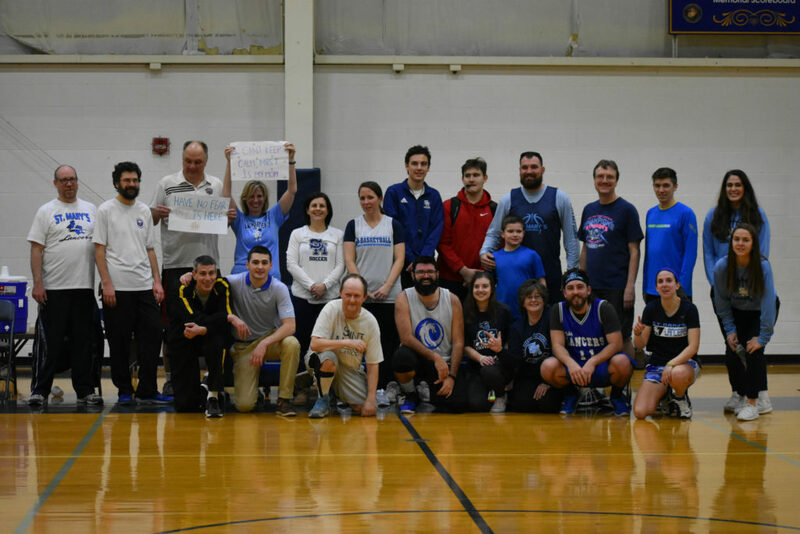 Rez vs. Mrs. Tytla, Mr. Derrico vs. Mr. Puzan, Mrs. Roberson vs. Mr. Meyerhofer, Coach Rosati vs. Coach Weiss, and several other epic battles took shape, as Team Bish and Team O’Brien battled it out. 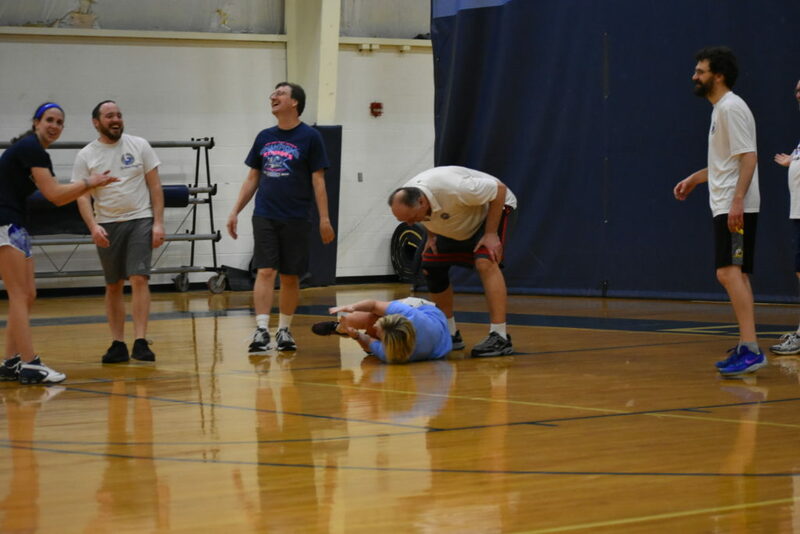 When the final buzzer sounded, Team Bish ended up taking the victory. 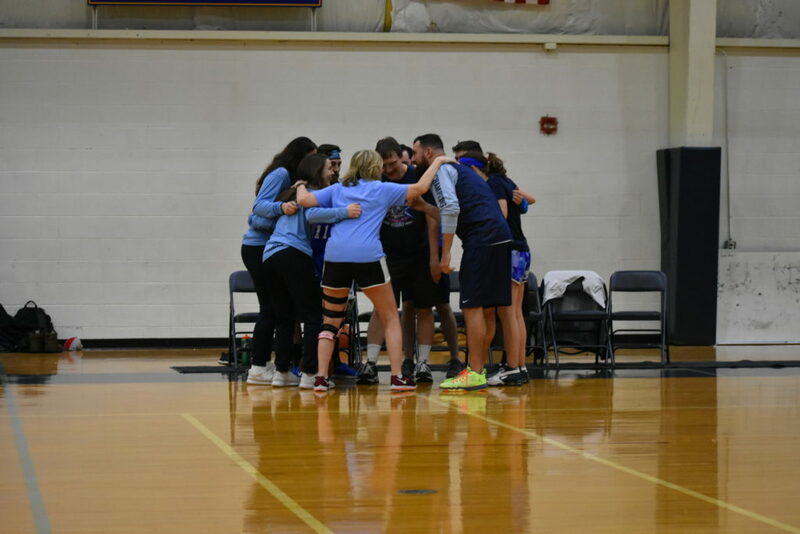 Thank you to all of the students who came out to support the event and their teachers!